Saving money on a new Kia in Odessa, DE is simple. The first step is to research the Car model of interest and identify any other vehicle of interest. You’ll receive Car price quotes from Odessa, DE Car dealers. Simply compare prices to find the best Car prices in Odessa, DE. The 2018 Kia Sportage is available in one of three different trims. 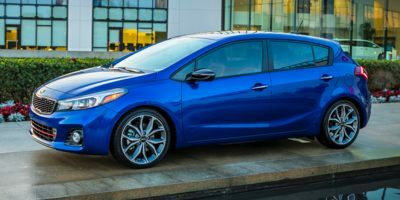 LX and EX models feature a 2.4L 4-cylinder making 181-hp, while the top of the line SX Turbo uses a 2.0L turbocharged 4-cylinder rated at 240 hp in FWD trim. All three trim levels are available with all-wheel drive as a $1,500 option, though opting for AWD on the SX Turbo does decrease power slightly (it's rated at 237 hp) and costs only a couple of miles per gallons. 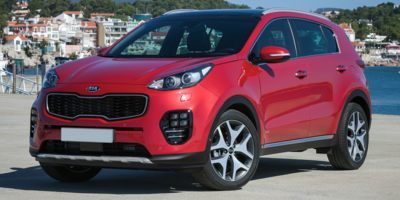 Generally though, the Sportage is pretty miserly with its fuel, with up to 30 mpg achievable on the highway when configured correctly. The only transmission choice is a 6-speed automatic. Even base Kia models tend to be pretty well equipped and the Sportage LX is no exception. Some surprising standard features are available on the under-$24,000 vehicle. 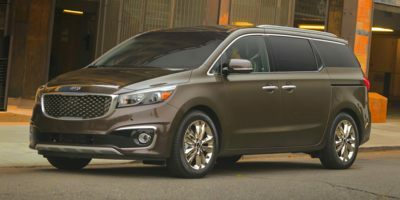 17-inch alloy wheels come as standard equipment as do daytime running lights, power adjustable outside mirrors, a rear spoiler, body colored door handles, SiriusXM Satellite radio, Bluetooth connectivity, a backup camera and steering wheel mounted audio and cruise controls. Mid-level EX models build on the LX by adding additional chrome work to the exterior, roof rails, heated exterior mirrors and 18-inch wheels. Inside, EX-trimmed Sportages include a 7" touchscreen display, dual-zone climate control, heated front seats and leather seating surfaces. The top of the line SX Turbo comes with everything on the EX, while jazzing up the interior with a bigger touchscreen in the center console, a Harman-Kardon sound system, a built-in navigation system, steering wheel mounted paddle shifters, an auto-dimming rearview mirror with a built in garage door opener and LED interior lighting. The SX Turbo also comes with a full sensor suite, including a blind spot warning system, a lane departure warning system, an emergency autonomous braking system and rear cross traffic alert. These sensors also make a very handy, self-parking mode possible on the SX Turbo, again included as standard equipment. The SX turbo looks upscale too, with bigger, 19-inch wheels, a unique gloss-black grill, power-folding mirrors with integrated turn signals, a big, panoramic sunroof, a powered liftgate and bi-xenon HID headlights. Compare Odessa, DE Kia prices. Get free price quotes for any Kia in Odessa, DE. See the invoice price, MSRP price, and clearance prices for all vehicles. Save big when Odessa, DE Kia dealerships compete on price. Compare Kia prices, pictures, reviews, local rebates and incentives, and more. View all used vehicles for sale in Odessa, DE. Compare used Kia vehicles and get the best deal in Odessa, DE. See prices, pictures, vehicle specs and everything you need to get the best deal on a used Kia. Bad credit auto loans and good credit auto loans for a new or used Kia in Odessa, DE. Compare current auto financing rates and get approved before you go to the dealership. We can get financing for nearly all new or used Kia buyers in Odessa, DE. Get a free auto loan quote today. Compare auto insurance rates from top lenders. Get the lowest monthly payment on a new or used Kia in Odessa, DE. With free Kia insurance quotes, you can save money regardless of driving history.